News two of Beijing’s most vocal newspapers have been taken over by govt officials intensifies crackdown fears. Two of Beijing’s most popular and outspoken newspapers have been taken over by the Chinese Communist Party in a move that is inevitably going to be seen as part of a broader crackdown on dissent. 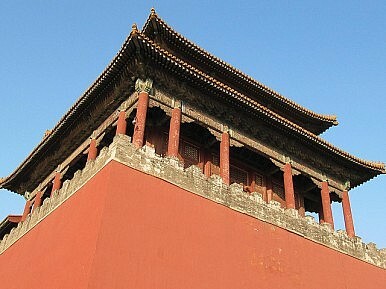 According to a report on the government-operated Qianlong website quoted by AFP, The Beijing News and the Beijing Times, both known for regularly running stories ‘critical of local governments around China, as well as articles that defy edicts issued by the party’s propaganda bureau ordering media to show Chinese society in a positive light,’ have now been taken over by CCP media authorities. According to Qianlong, the move has in part been motivated by a desire to rein in an advertising war between the two publications. However, the decision has already been met with criticism from bloggers who see it as part and parcel of the Chinese government’s crackdown on critical voices in the country. It says that the decision was announced at an internal meeting held at The Beijing News offices by a group of seven or eight officials headed by Lu Wei, who is deputy chief of the municipal publicity department. The takeover of the newspapers appears to be yet another step in what has been an intensifying crackdown on dissent in China, a crackdown that has included the roundup of activists and lawyers, as well as heavy security presences at potential flashpoints.